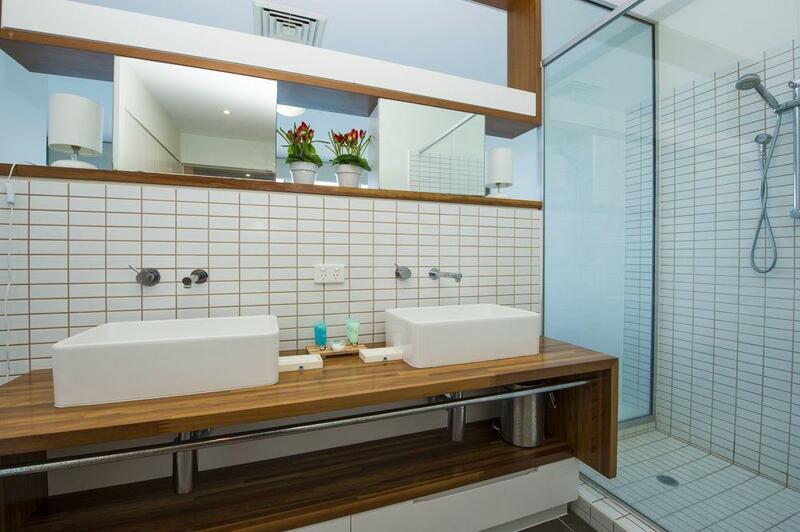 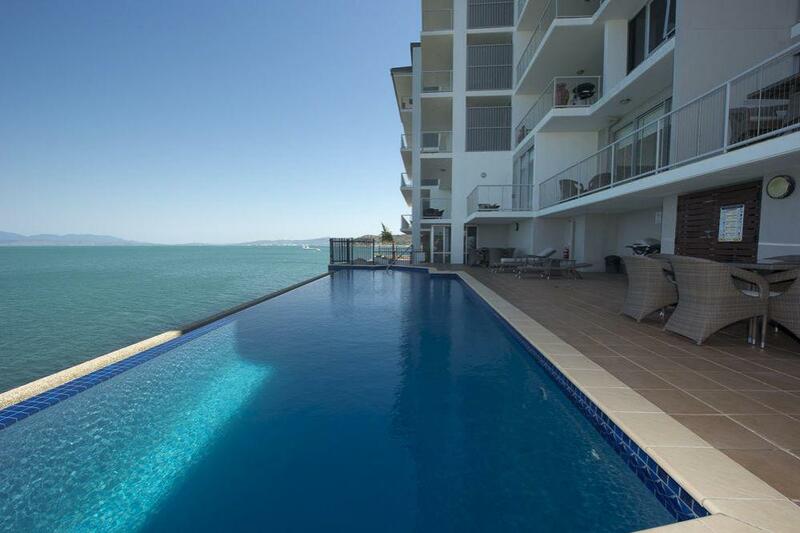 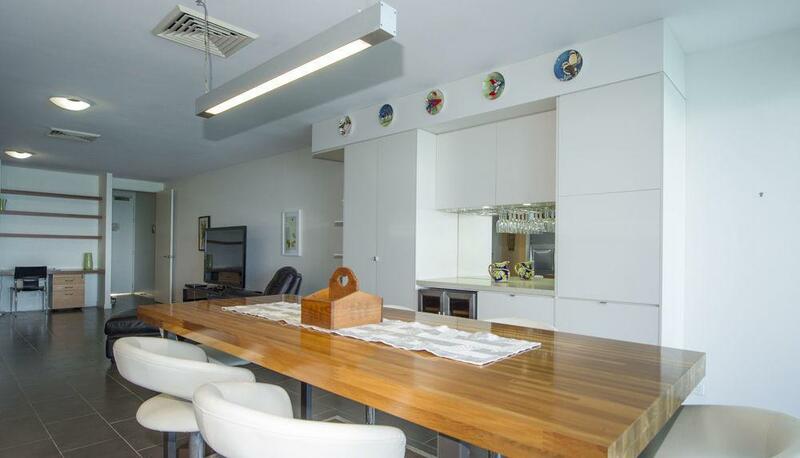 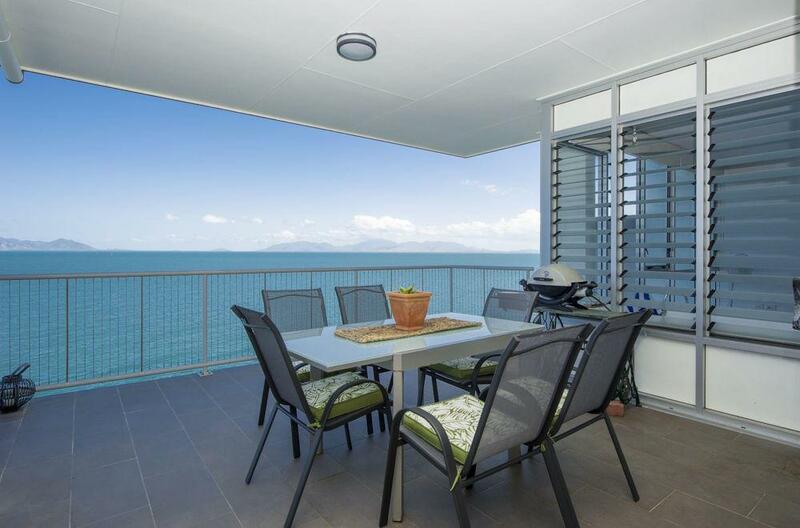 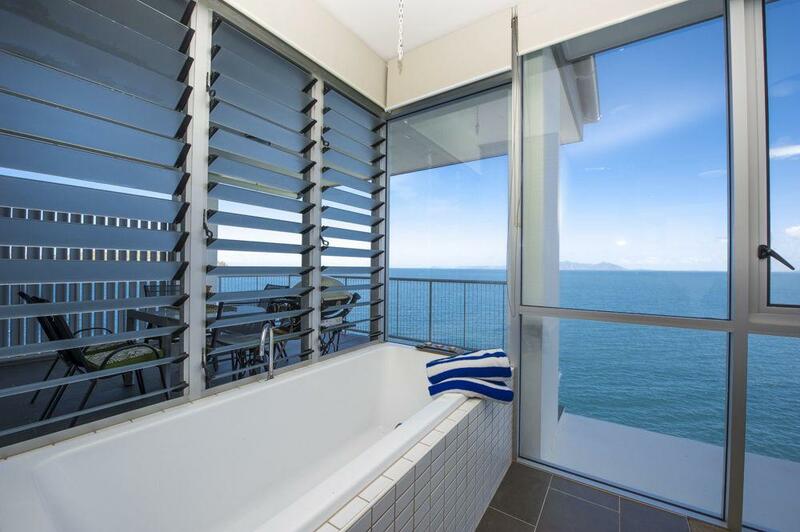 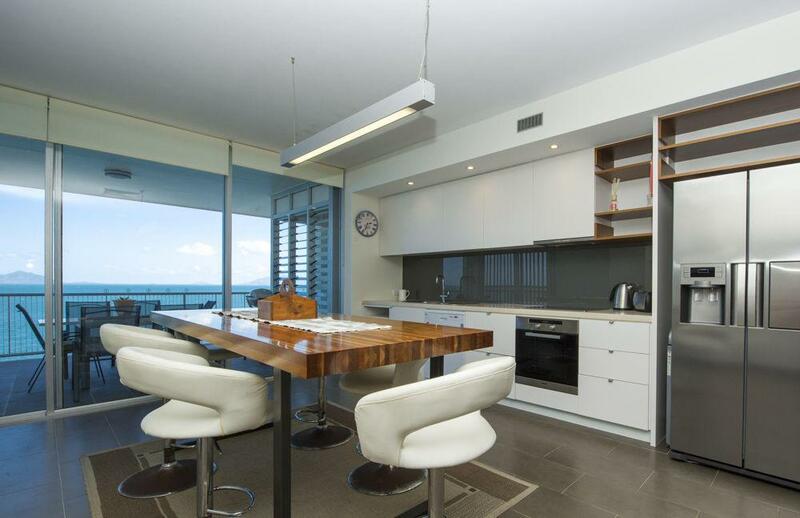 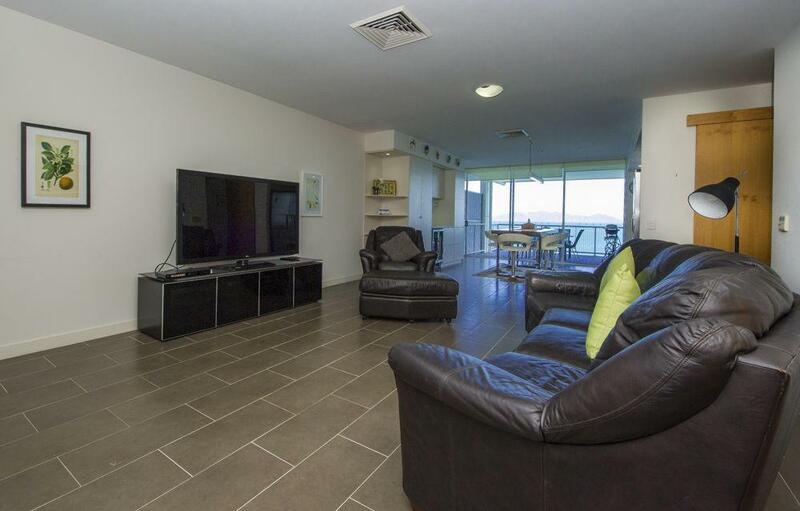 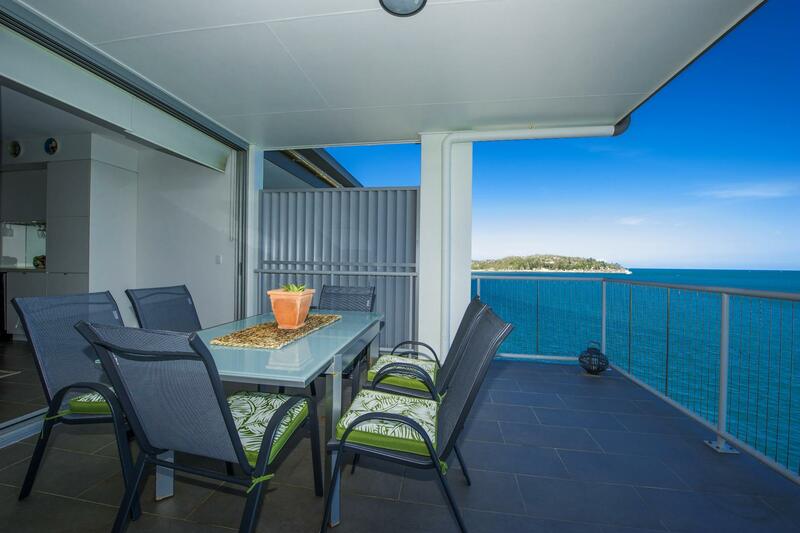 This well-positioned fully furnished 3 bedroom oceanfront apartment takes advantage of its top floor corner location to provide stunning views across the Coral Sea to Cape Cleveland as well as views across beautiful Geoffrey Bay and Arcadia. 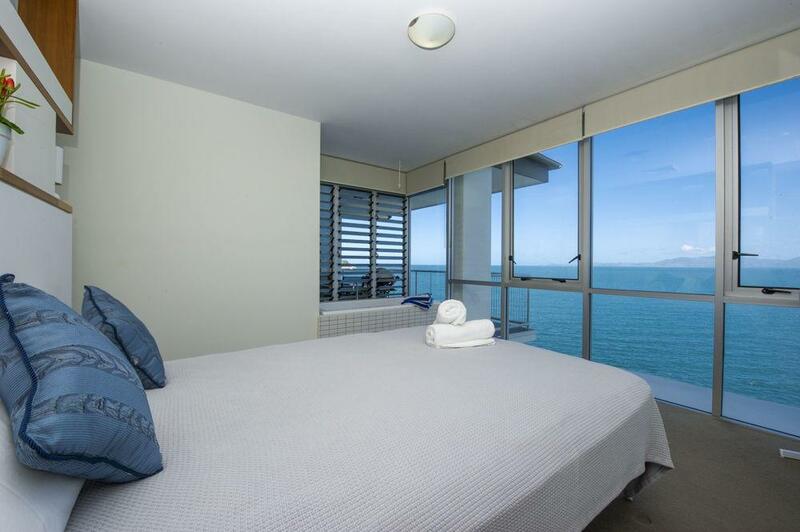 Wake up in the master bedroom to the sound of the waves lapping on the rocks below and ocean views, which can even be enjoyed from the ensuite bath, shower and his-and-hers double vanity. 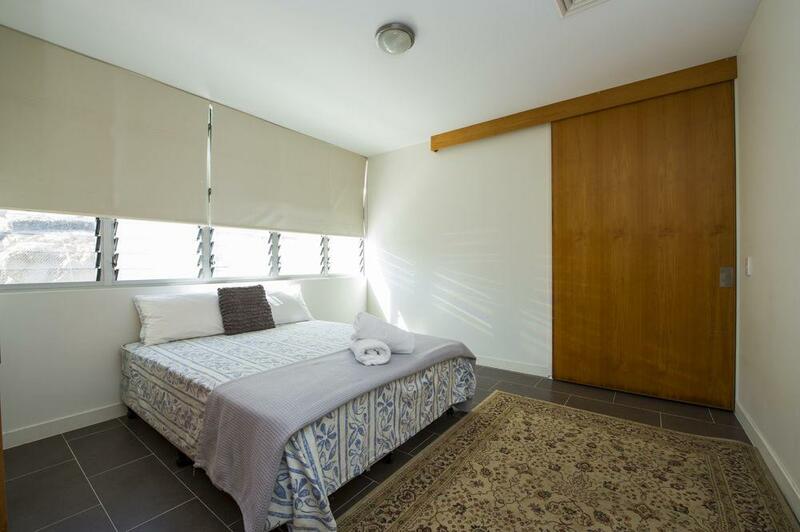 The second and third bedrooms are also generous in size with built-in wardrobes for each and ducted air-conditioning throughout keeps everyone cool on those hot summer nights, although most people tend to find that the cool sea breezes are all they need. 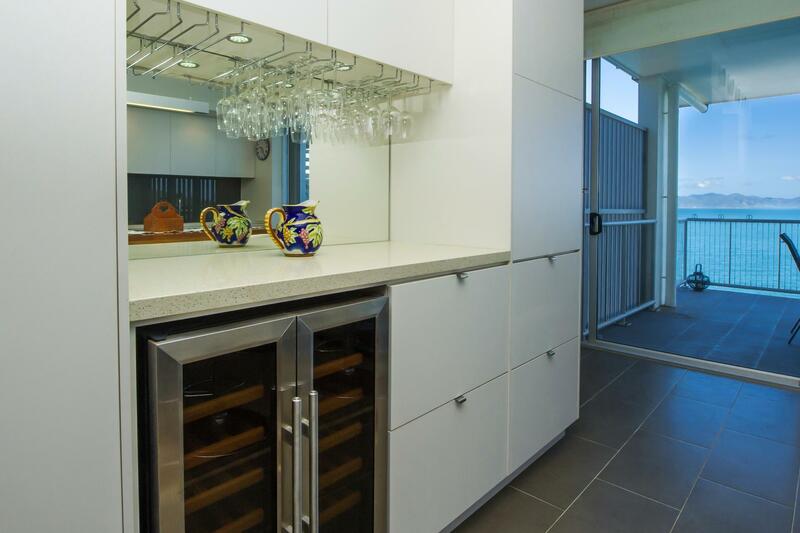 The moment you step through the front door into the open-plan living area, your eyes are drawn straight through to the view through the full width floor-to-ceiling glass doors at the far end opening onto the balcony. 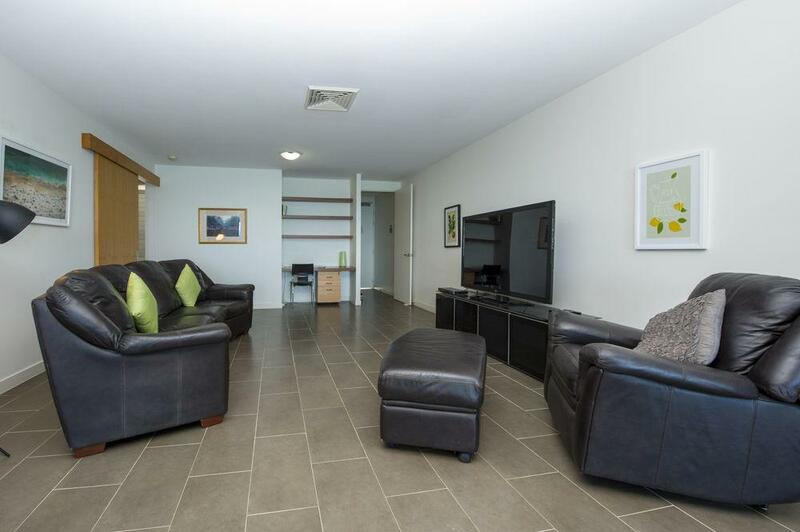 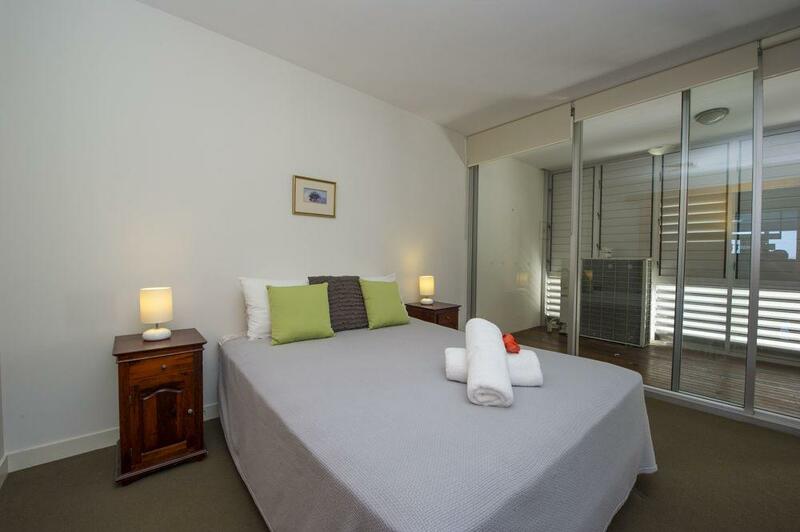 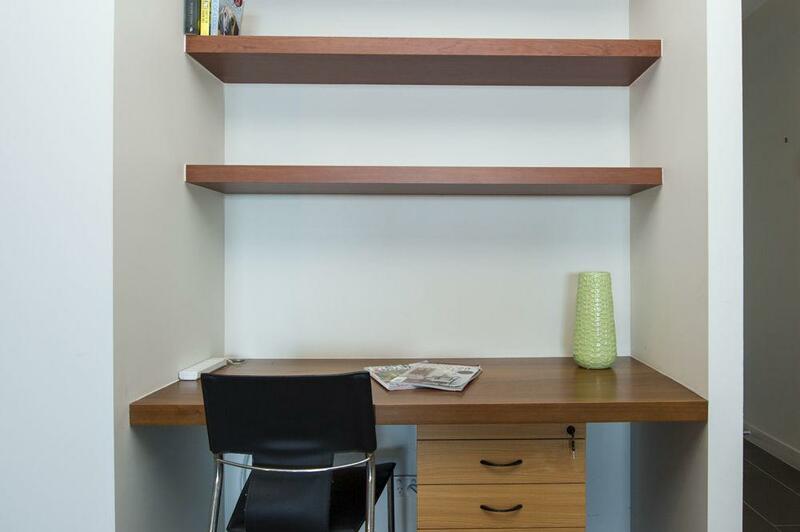 This apartment is offered fully furnished including the quality leather lounge suite and large TV in the living room which flows straight into the kitchen/dining area. 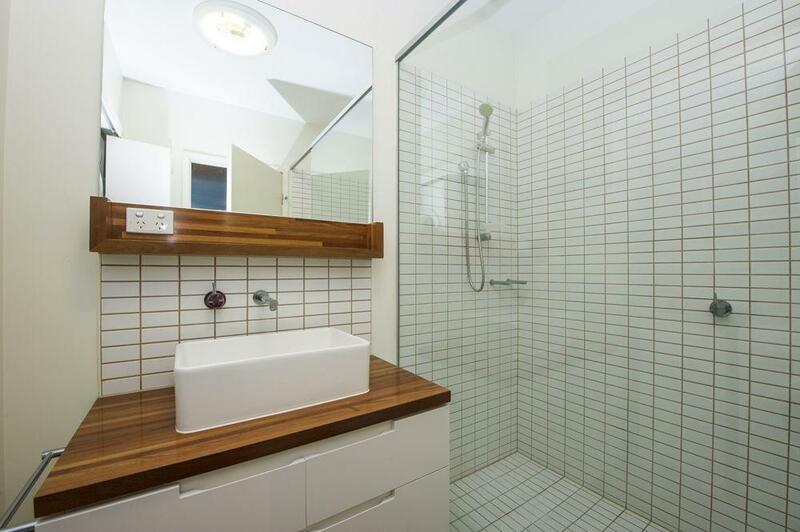 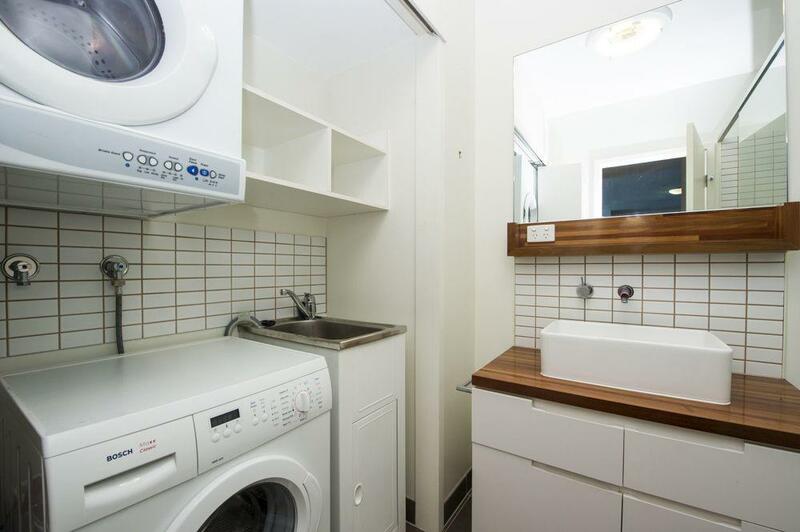 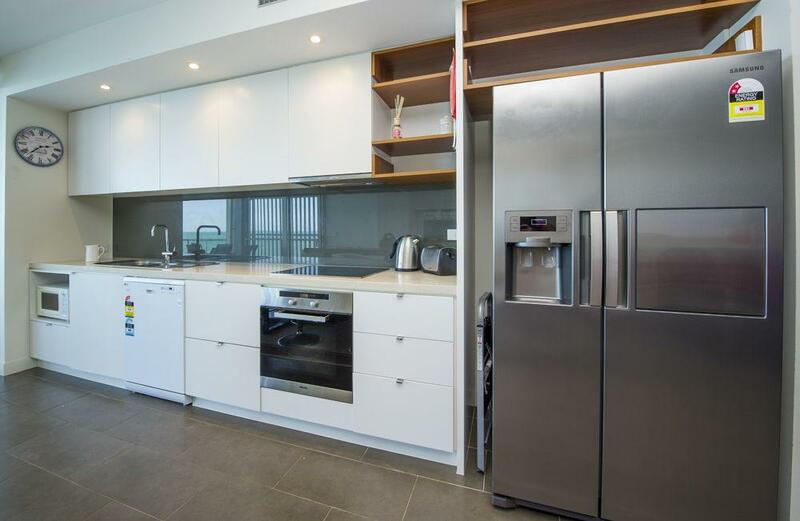 The kitchen features stone benchtop, large double door plumbed fridge freezer, dishwasher, oven and cooktop with a bar, wine fridge, pantry and additional storage which is unique to this apartment and indispensable to an owner-occupier. 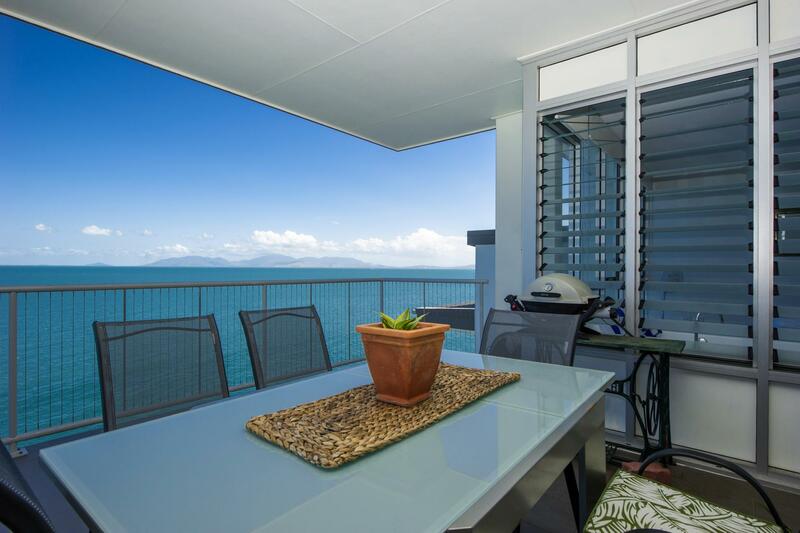 You won't get bored of the view from the balcony, which is the perfect place to relax and enjoy a cold drink in the afternoon shade, keeping an eye out for the seasonal humpback whales passing by, occasional dolphins and almost daily turtles in the water just below. 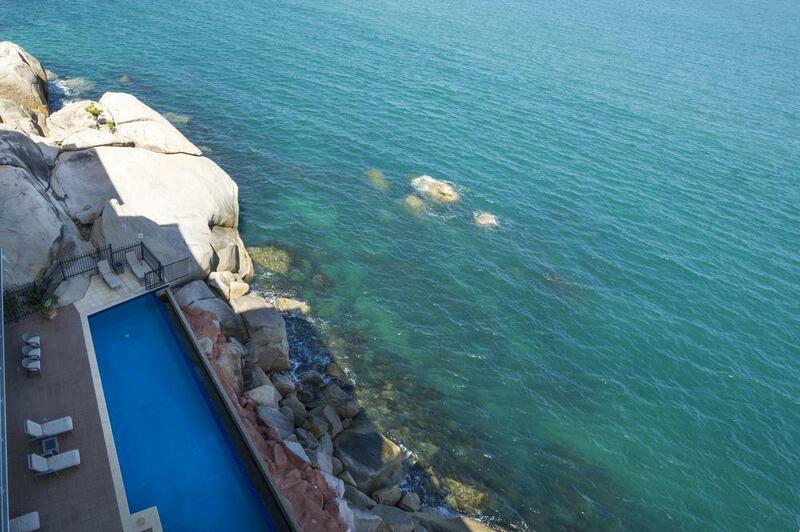 Bright Point is a complex of 124 apartments, with four swimming pools, including two oceanfront infinity-edge pools, and a gym. 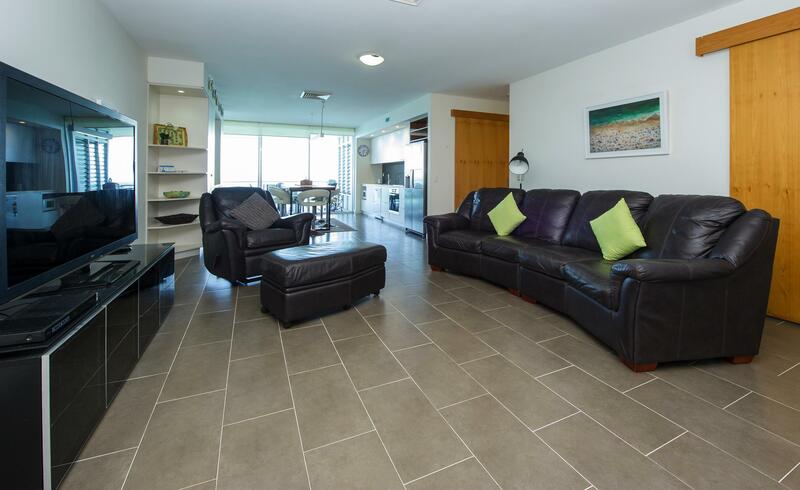 Just seconds from the ferry terminal, and with ferries all day every day, it couldn't be easier access, with shops, cafes and restaurants less than 5 minutes' walk. 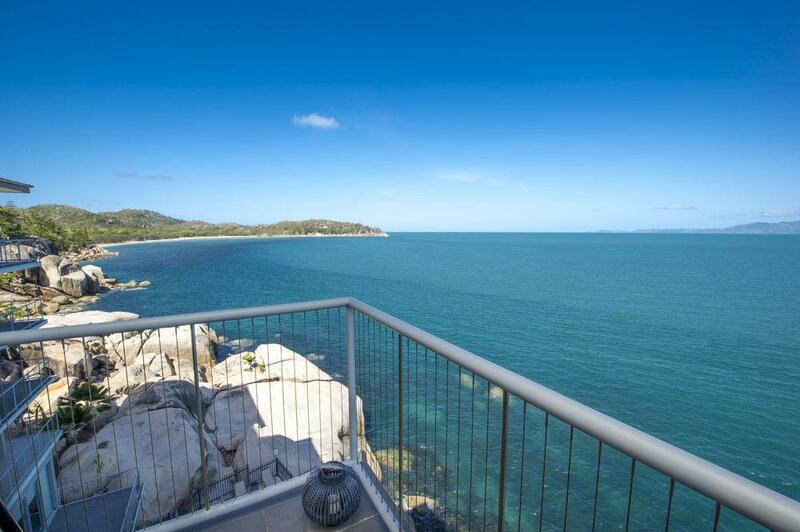 Magnetic Island offers 23 gorgeous beaches and bays, a multitude of scenic walking trails through National Park, golf, watersports, horse-riding and so much more - but be quick, word is out and our little secret won't stay at current prices forever!